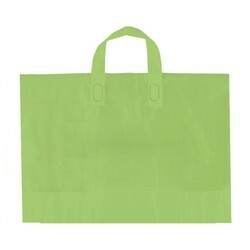 Our Non woven bags are made of soft/smooth plastic reusable. Non woven bags are attractive and can be customized with your designs and text. Non woven bags are good as give away for your products or can be sold as a product. We are among the noteworthy names in the industry, bringing forth Handle Bags for our priceless customers. The offered bags are designed to provide a vent to the air trapped in the bags, thus enabling maximum utilization of space. Manufactured using high-grade materials, these bags are durable and are characterized by excellent resistance to heat and scratches. Single Loop or Two Loop : – These Bulk Bags/ FIBC’s are made of circular or tubular fabric. The loops are made by body fabric. These types of bags are primarily used in the fertilizer industries. Srcc Poly Fab Pvt. Ltd.